thyme | shirley does Feminism. 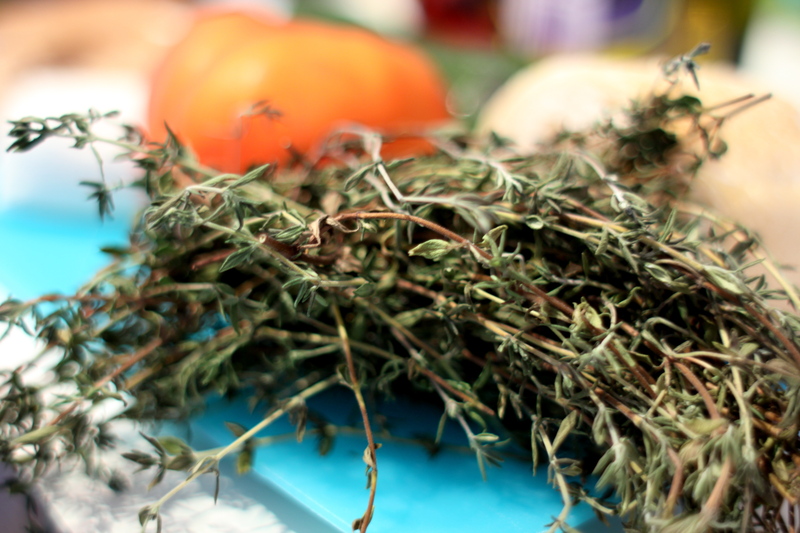 The thyme cooking continues! 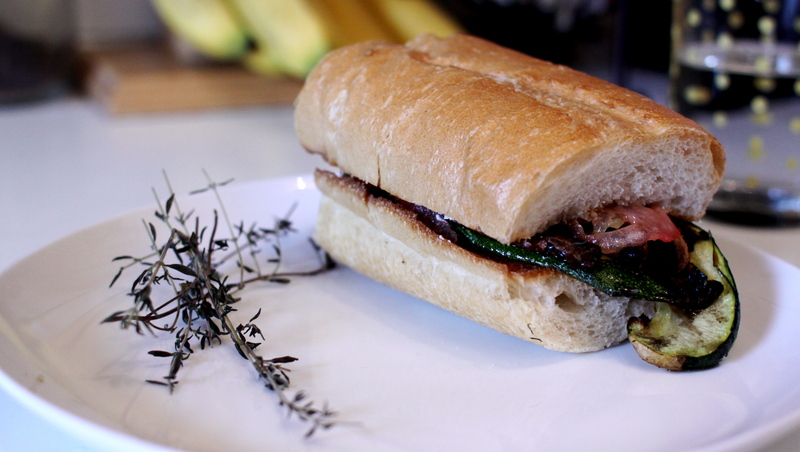 This past Friday I prepared a balsamic and thyme chicken dish for Stephen and Stephanie. It did not look super nice so I did not take any pictures. 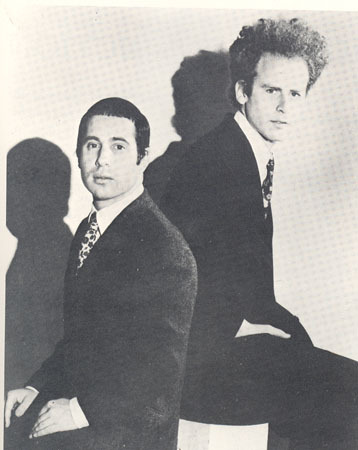 However, they both said it was fantastic. Last evening we BBQed at Morgan and Derek’s new apartment. 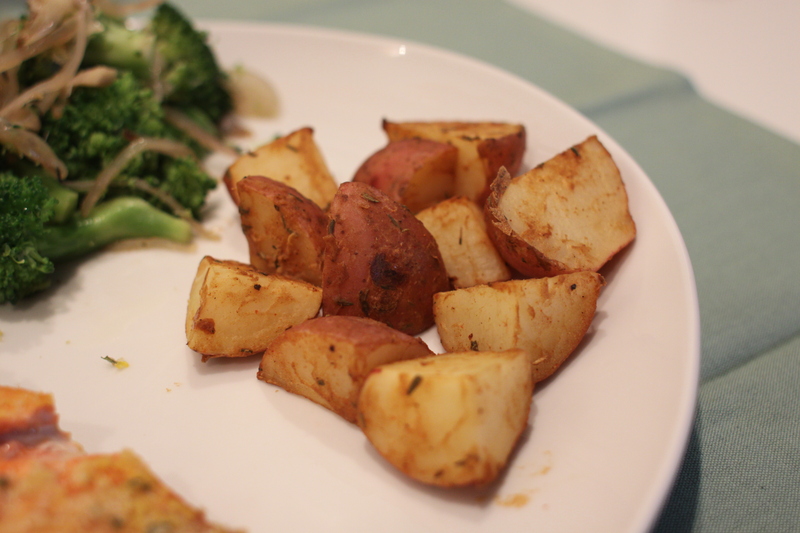 I used thyme on the vegetable marinade and it was delicious! I simply combined some rosemary, thyme and balsamic, coated the veggies and viola! 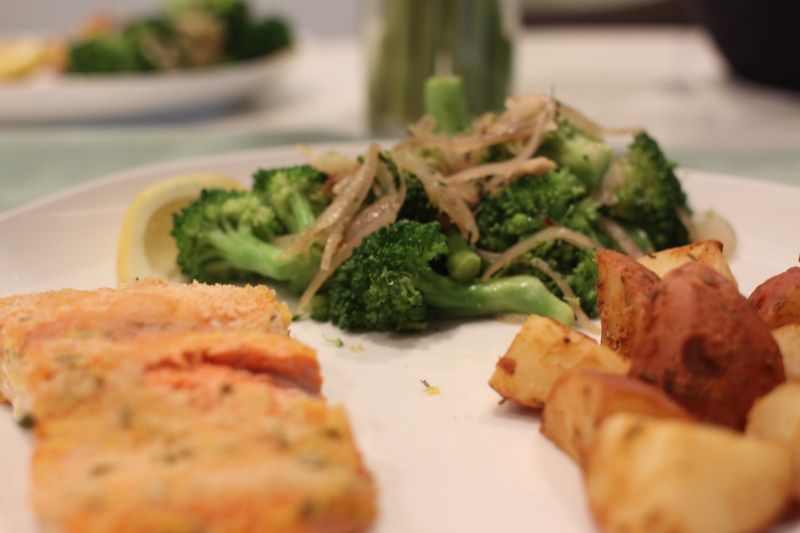 The menu for tonight included: Dijon Crusted Salmon, Honey Dijon Potatoes and Lemon Herb Broccoli with Shallots. 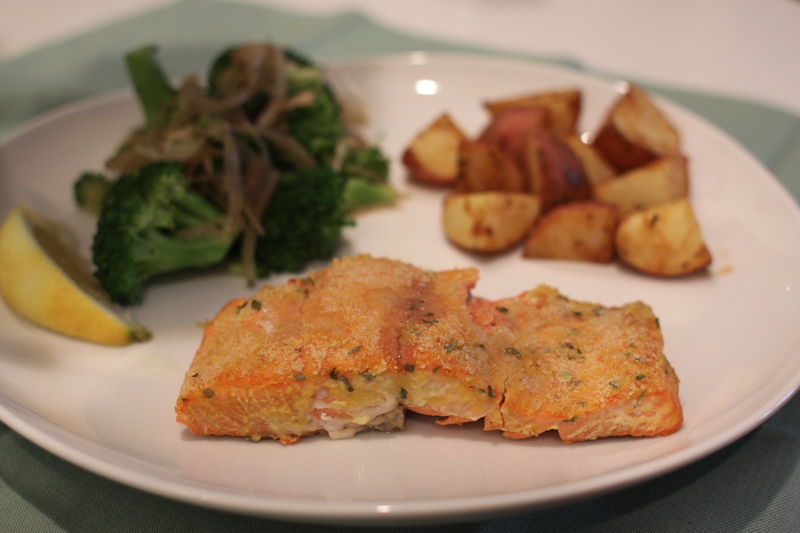 Each meal included thyme… of course! 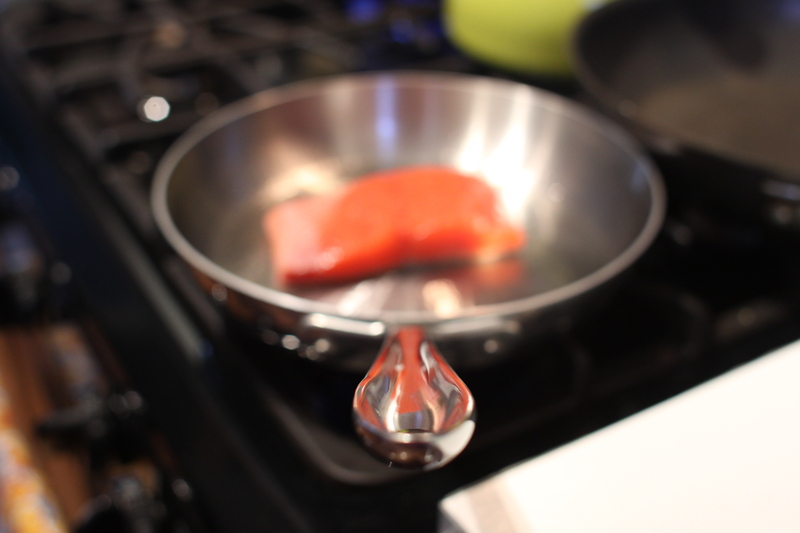 If you would like the exact measurements for any recipe shoot me a message and Ill email them to you. Mix bread crumbs, 1 tbsp of butter and Parsley in one bowl. Mix 1 tbsp of mustard and thyme in another. 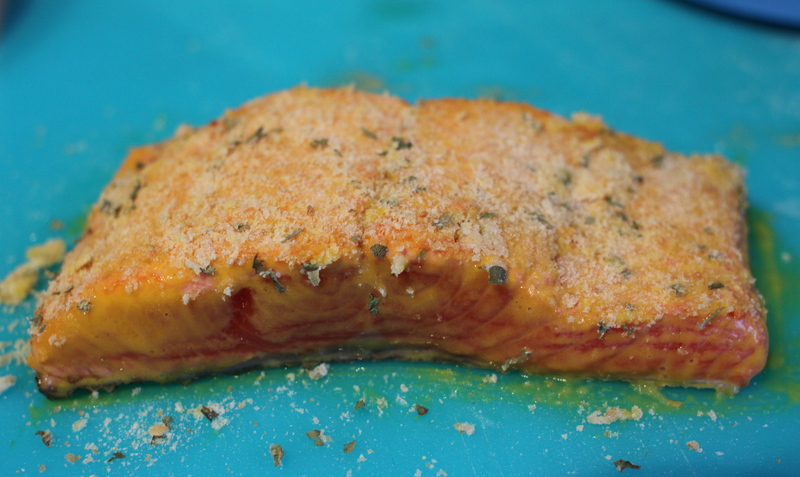 Coat Salmon with mustard then coat with crumb mixture. Bake for 10 to 15 minutes. 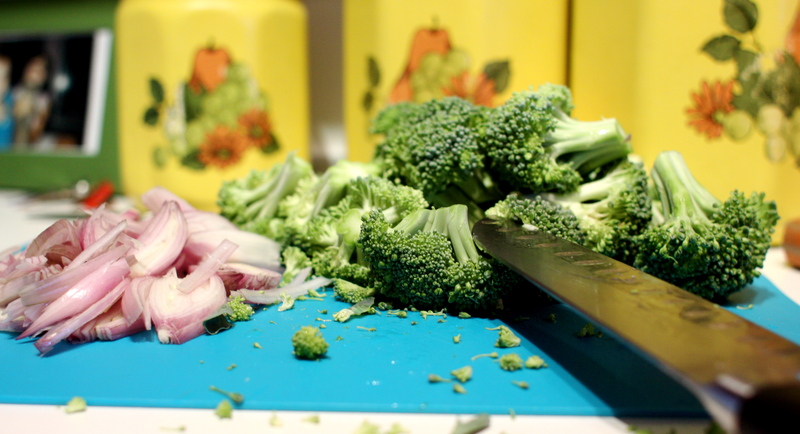 Cut shallots and broccoli and bowl. When softened add lemon zest, thyme, butter, salt, and pepper. 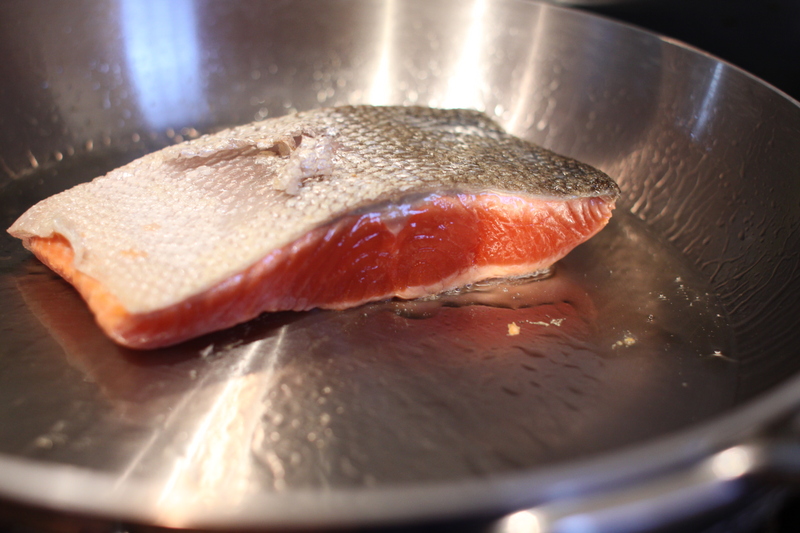 Mix 2 tbsp of honey dijon, thyme, paprika, pepper, and salt together in a bowl. 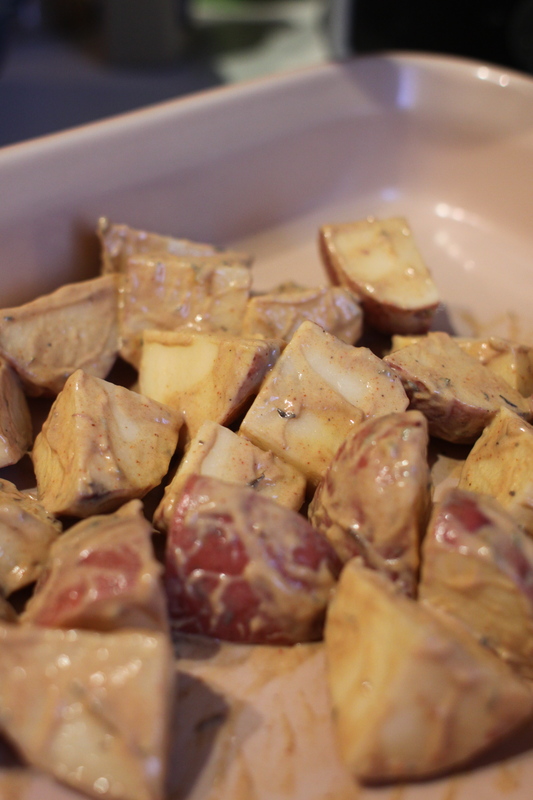 Toss potatoes into bowl and coat. Bake for 15 minutes, turn, then 15 additional minutes. Tonight I tried a new recipe that requires the use of thyme. The actual recipe was rather vague and I had to make up a bit of it on my own. Despite the gaps in the recipe it was pretty tasty. 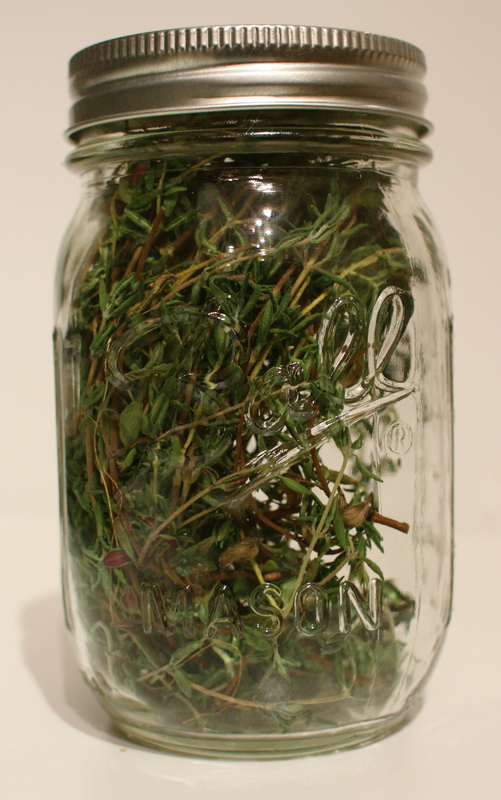 So heres to thyme, the ingredient of the week! Also, this is about 6 WW points. Preheat oven to 450. Slice zucchini and mushrooms. 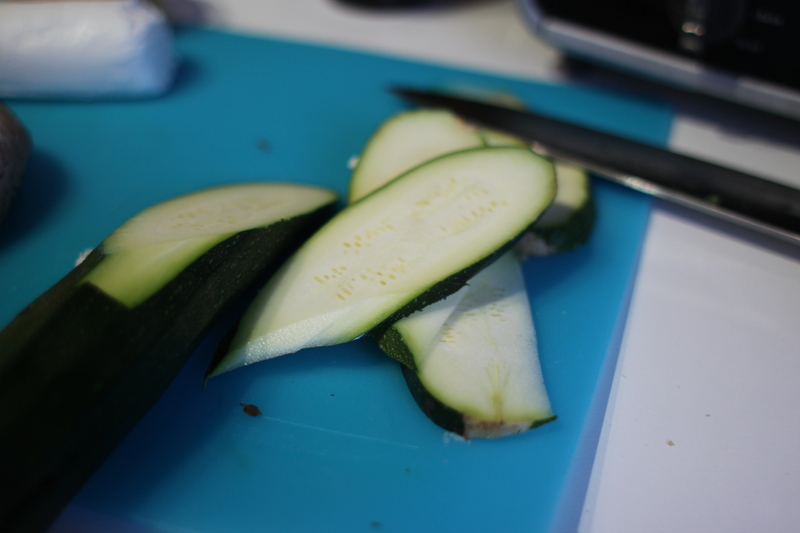 Place zucchini in a baking dish and place the mushrooms in a separate dish. 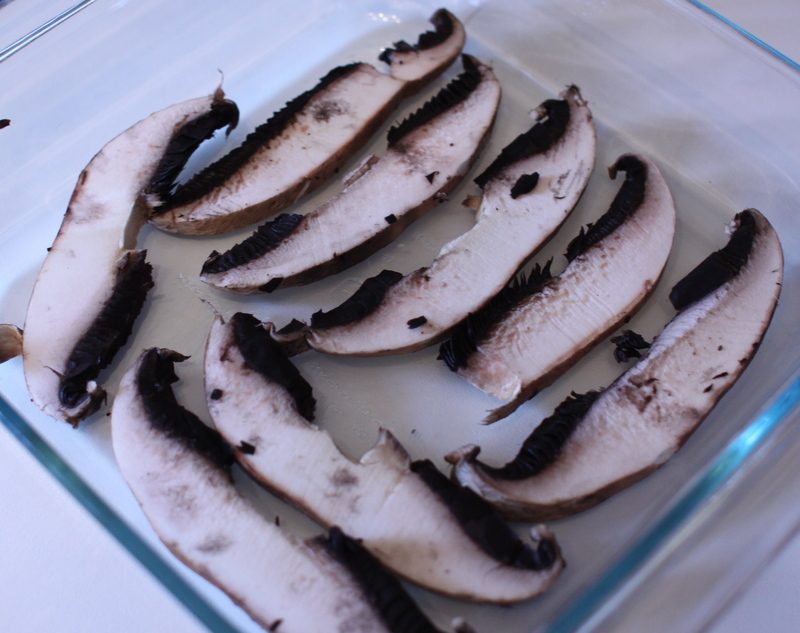 Make sure to spray the mushroom baking dish before placing in. 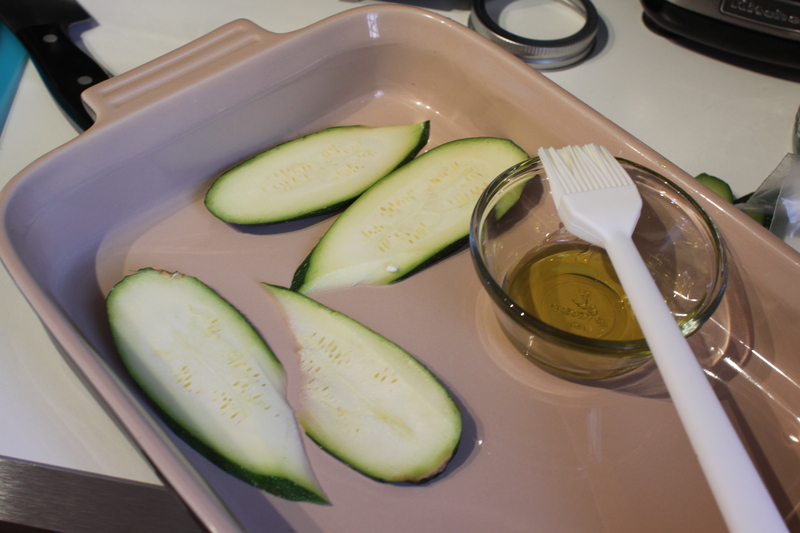 Once zucchini is in the baking dish, brush olive oil on both sides. Sprinkle with salt and pepper. 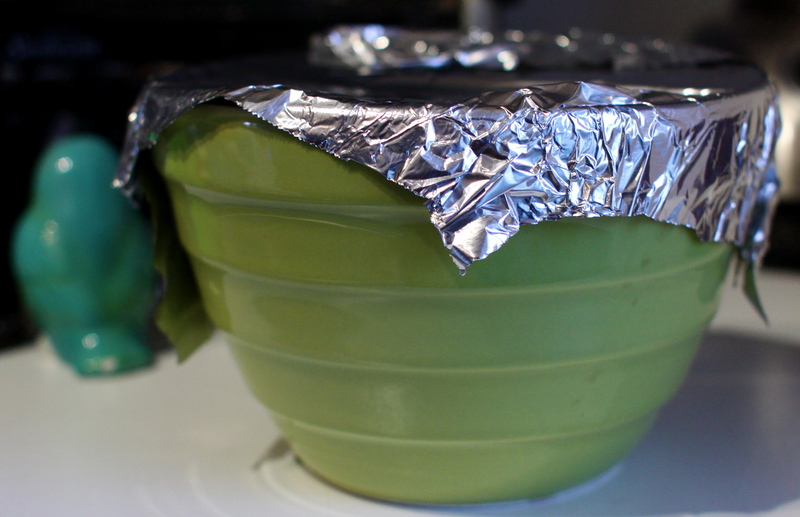 Then, place both baking dishes in the oven. The mushrooms will cook faster. Keep an eye on both dishes and turn veggies so both sides cook evenly. While veggies are cooking prep the red wine vinegar marinade. Put red wine vinegar in small bowl. 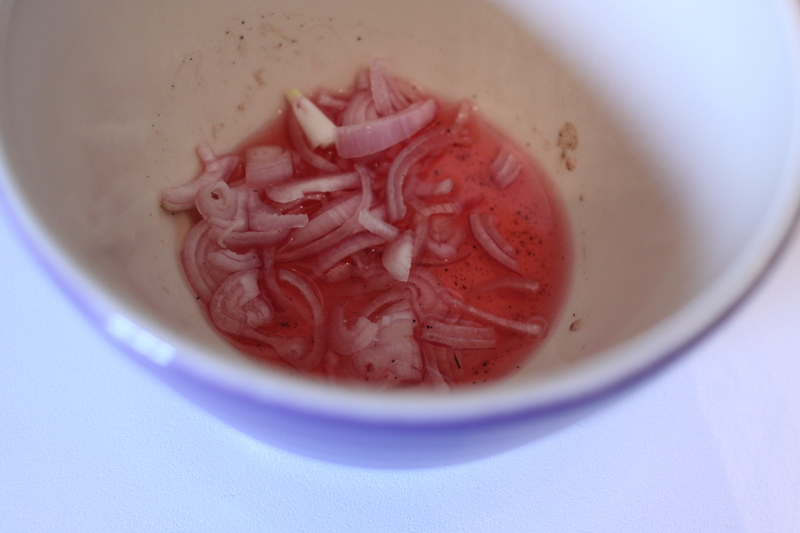 Then, slice shallots and place them in bowl. 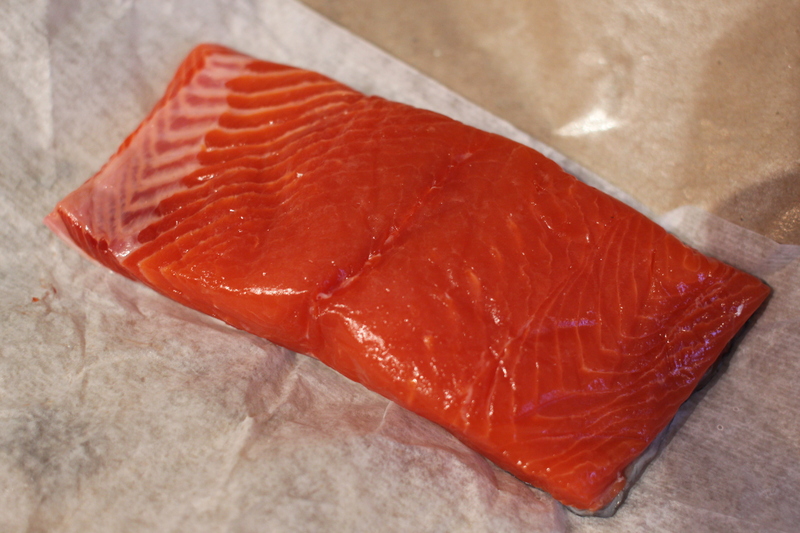 Add some salt and pepper and set aside. Take veggies out when they begin to brown. 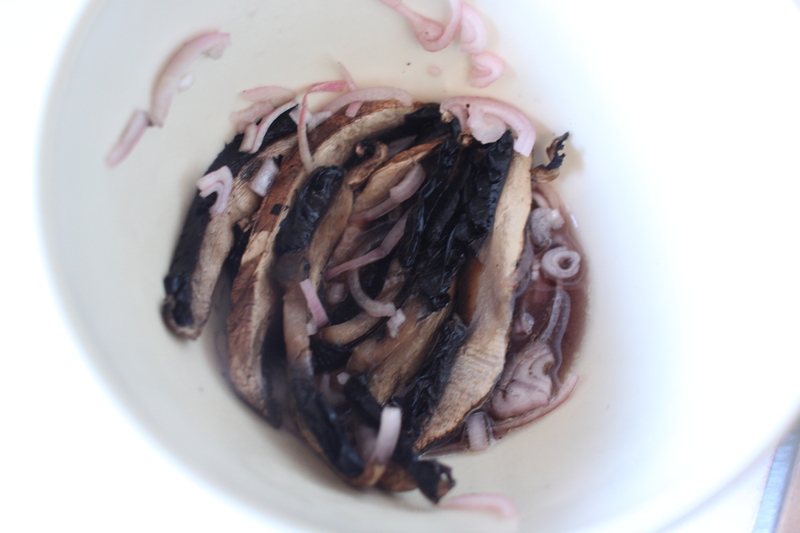 Place mushrooms in red wine vinegar mix. Stir mushrooms and then cover. After veggies are out of the oven, place the bread into the broiler for less than a minute (make sure it doesn’t burn). You want the bread to be lightly toasted. Slice tomato into thin slices. After bread is finished, begin to build! 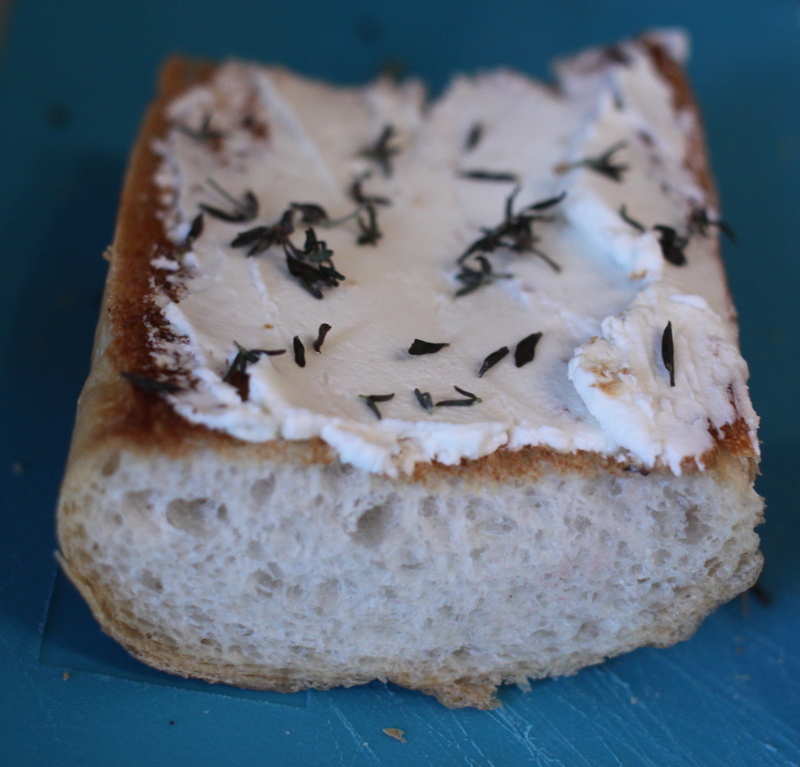 Spread goat cheese on one side of bread and sprinkle with thyme. you can spread quite a bit of cheese, don't be cheap! 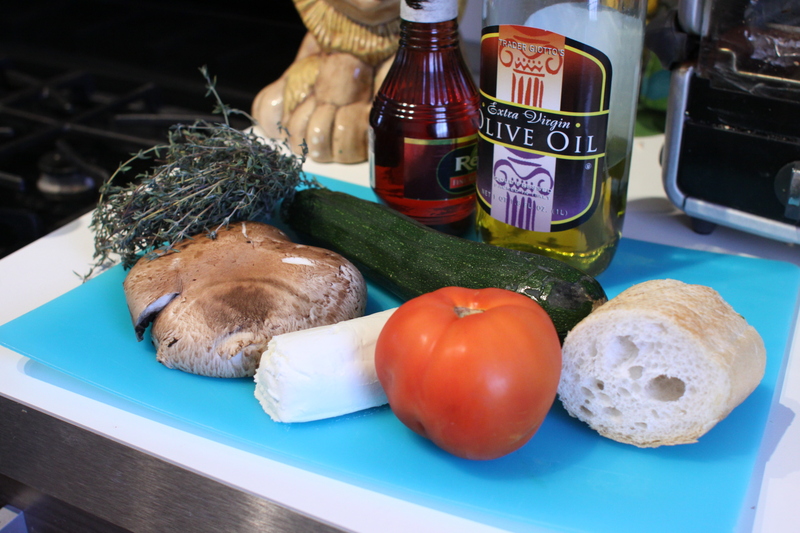 Start with the zucchini, then place mushrooms, shallots, and tomatoes. 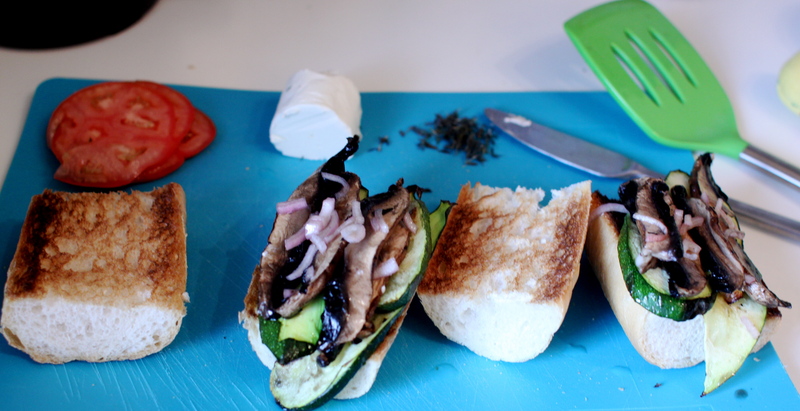 Put top of bread on and your sandwich is complete! At the start of summer Stephen and I planted a very small and humble garden on our back porch. Unfortunately where our apartment lands, the sun is not very friendly. Unlike our lucky neighbors, our tiny spot is shaded and only sees the sun at the very end of the day. Some of our plants have made it, while sadly, some have not. Fortunately though our garden is not a complete bust! We have two pepper plants that are thriving in addition to our new basils. 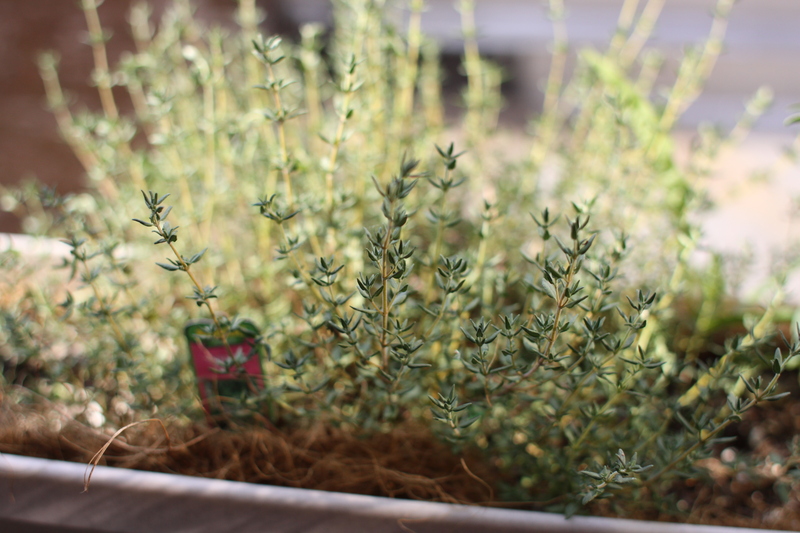 The plant that has planted its roots and flourished is our little thyme bush. This little shrub has taken over the garden and made its presence known! A few days ago Stephen took the shears to this beast and cut many of its pieces. We brought them inside and its fragrance was magnificent! 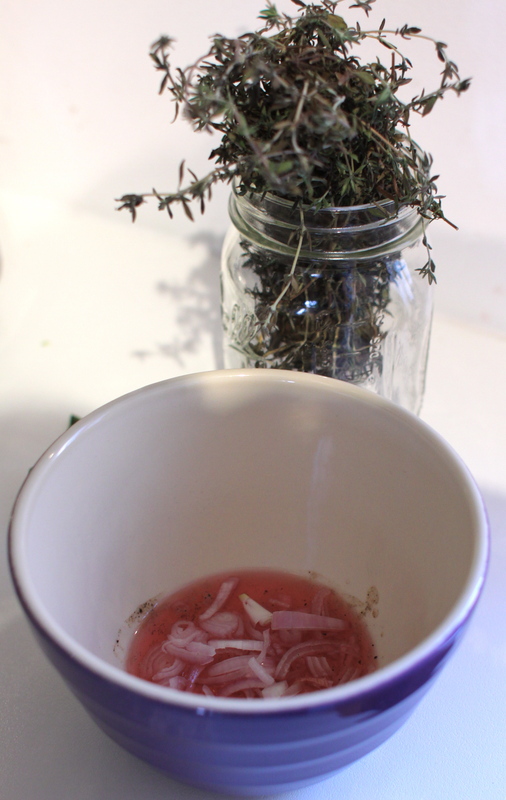 Since I am extremely neurotic and feel a sense of urgency in EVERYTHING, I wanted to use the thyme before it went bad. I know this would take a while, but like I said, Im neurotic. So consider this week an ode to one of my favorite movies and bands, our menu for each night will feature an item that uses thyme. I am looking forward to cooking every meal and will update as I go.